Earlier this week, Facebook Inc (NASDAQ:FB) announced the roll out of ‘Chat Heads’ as a new feature available through Facebook Inc (NASDAQ:FB) Home for both Google Inc (NASDAQ:GOOG) Android and Apple Inc. (NASDAQ:AAPL) iOS. While the feature is already gaining popularity, the way it operates within each environment is very different. Beyond Chat Heads, other features of Home are already gaining traction, suggesting that the smartphone landscape is about to change again. If early indications are accurate, Facebook Inc (NASDAQ:FB) has positioned itself brilliantly for the way forward and deserves a place in your portfolio. In the full Android version, Chat Heads is a message notification system that allows you to easily see who is trying to get in touch, either through Facebook Inc (NASDAQ:FB) or traditional SMS text message. When a new message is received, a small circle with the face of the person messaging you — a Chat Head — pops up on your screen. The advantage of the system is that it allows you to simply tap the Chat Head to open a reply message box, and then return to whatever you were doing, all without the need to switch between apps. The Chat Heads can be moved around the screen, also staying active while you browse or conduct other business. Multiple Chat Heads can be open at the same time, allowing you to easily navigate between messages and conversations. The Chat Head concept allows Facebook Inc (NASDAQ:FB) Home to help you turn your smartphone into a much more personal experience that is people-driven, not app-driven. CEO Mark Zuckerberg said this was one of the specific goals of Facebook Inc (NASDAQ:FB) Home. In the Apple Inc. (NASDAQ:AAPL) iOS environment, Chat Heads has greatly limited functionality. You can access Chat Heads from within the Facebook app, but not when you are using other apps. 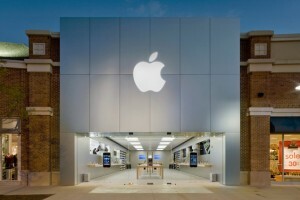 The Apple Inc. (NASDAQ:AAPL) version will give users a preview of Chat Heads, but not the full experience. Of course, as with so many apps, jailbreaking your iPhone can allow you to get the full Chat Head experience that is currently unavailable through direct means. From the user’s perspective, one of the appeals of Home is that it allows you to receive updates in both the home screen and lock screen on your device. This means that by simply glancing at your phone, you can get Facebook updates from friends and contacts. Zuckerberg explained at the release that while most of us look at the lock screen several hundred times per day, there is little valuable information there. Home changes that by pushing updates there, improving — in Facebook’s estimation — the user experience. From an investor’s perspective, the lock screen feature is critical as it carves out critical real estate for Facebook that is otherwise wasted. One of the biggest challenges in mobile advertising is reconciling the small screen and limited availability of chances to grab attention. While Facebook Home will not feature ads yet, you can easily see how the company is positioning itself to control the most visited part of every smartphone. Facebook’s new meta app is well conceived and makes the stock an attractive buy at current levels. The article Chat Heads and Other Neat Treats From Facebook originally appeared on Fool.com. Fool contributor Doug Ehrman has no position in any stocks mentioned. The Motley Fool recommends Apple, Facebook, and Google. The Motley Fool owns shares of Apple, Facebook, and Google.